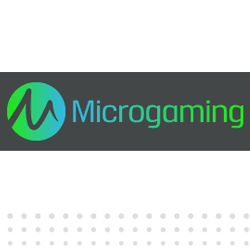 MIcrogaming draw on over 20 years of experience in developping online casino games and applications. The company is one of the leading software devlopemtn specialising in online casio products ranging from simple slots to complex multiplayers and progressive jackpots systems. There is secrecy about who the owners, founders and main share holdres are. The current CEO is Roger Raatgever. In 2009, Micorgaming announced the biggest ever online casino win through progressive slot Mega Moolah, with the winner taking away $6 374 434 making this win the largest online casino payout in history. Since then the big win was topped by a £5.88 million win at Butlers Bingo. Based in the Isle of Man, Microgaming have developed more than 700 unique Casino games, including over 1200 variants, publishing a mix of licensed and proprietary content. Their success is based on keeping their catalogue fresh by releasing new titles every month. Their products range from Casino, Mobile, Poker, Bingo, Land-based, Sportsbook, Live Dealer and Network Gaming. As an innovator they have led the way in mobile development, producing games that are every bit as playable on tablets and smartphones as they are on desktop; in fact, their mobile range has grown to include over 110 dedicated games, 33 download games (Android) and 45 HTML5 games. They also made the first slot tournament millionaire, paying out a staggering €6.37 million to the lucky winner. As if that weren’t enough, our online progressive jackpot network is the largest in the world. They are member of eCOGRA and IGC (Interactive Gaming Council), they claim to set the standard in fair, responsible gaming. The company also gives back to the community through their Microgaming Health & Care Trust.